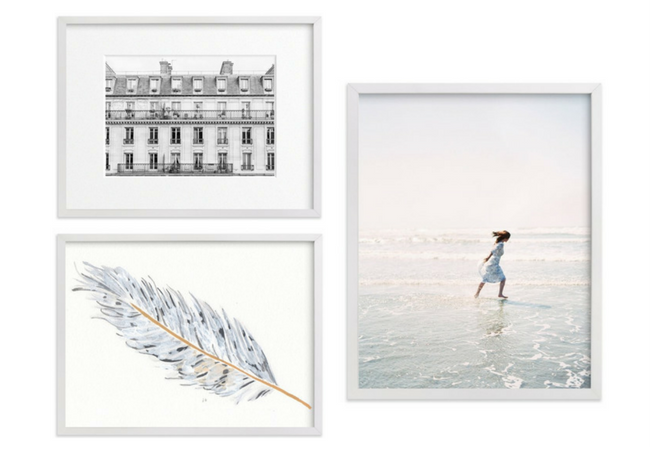 Beautiful inspiration photos and tips for hanging art in the stairwell. 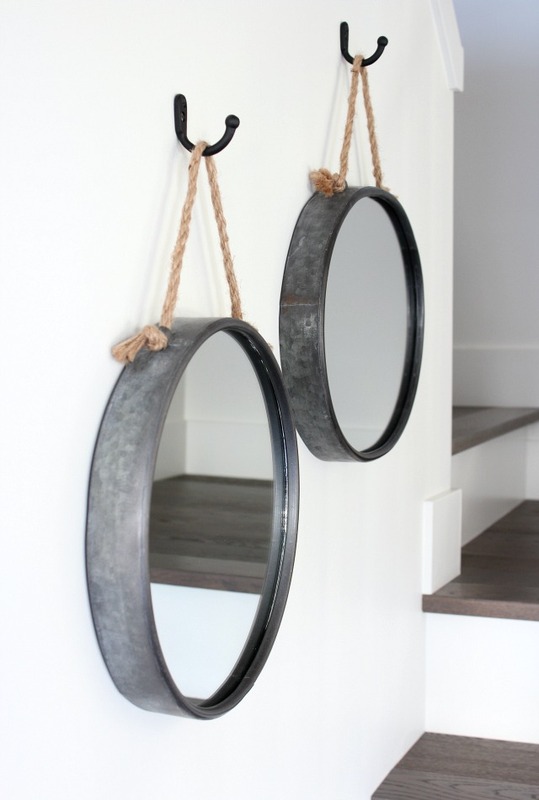 Please pin these lovely ideas for hanging art from the original source. I don’t always know why certain projects show up on my radar at any particular time, but seeing this striking stairwell earlier this week most likely was the instigator. The bold black and white photography definitely steals the show, which makes me think hanging art in the stairwell is a definite must. As with any project, I like to see what’s out there for ideas before locking anything down. 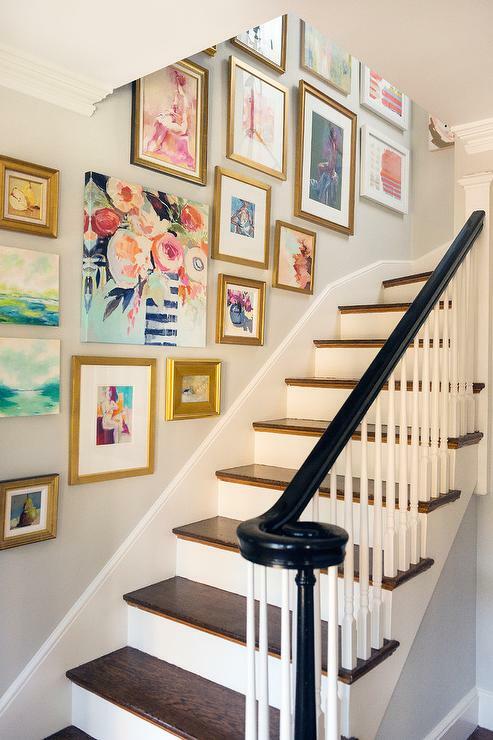 After searching online for art in stairwells, stairways, and staircases, I came across several inspiration photos that have made my decision about the final look I’m going for a little more difficult. For instance, I’m drawn to the combination of different frames and art mediums with the beautiful pop of colour in this staircase below, making me second guess the whole black and white thing. Isn’t the art display beautiful? That staircase wall art makes me happy! Here’s a French-inspired look I’m also drawn to with a collection of subdued artwork framed in gold. 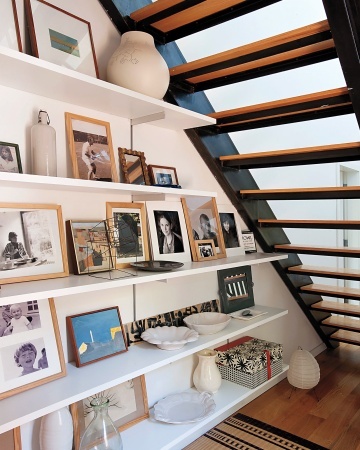 This selection keeps the staircase light and airy, but is still very interesting. Definitely a classic look worth considering. 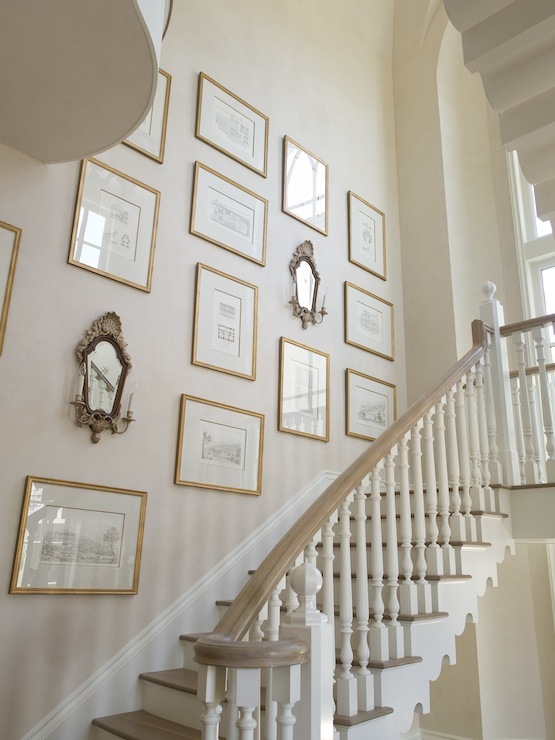 See more tips for hanging art in a stairway from Phoebe Howard here. As I was looking for other ideas, I also came across this gorgeous art display under the stairs. I adore the layering of sculptural pieces with the art, as well as the clever use of otherwise wasted space. Those shelves are a brilliant way to showcase a collection. Agree? Perhaps the best style for me is something eclectic, such as a combination of photography, canvases and prints in a variety of sizes and finishes, giving it that “collected over time” quality that is so desirable. Once I’ve finalized the overall look and basic layout for the artwork in my stairwell, the next step will be finding the right pieces. Currently I have a few photographs from our travels I’d like to frame or transfer to canvas, but the remaining pieces still need to be sourced. As usual, I’ll shop around at a few of my favourite vintage shops and continue to check out art for sale online. 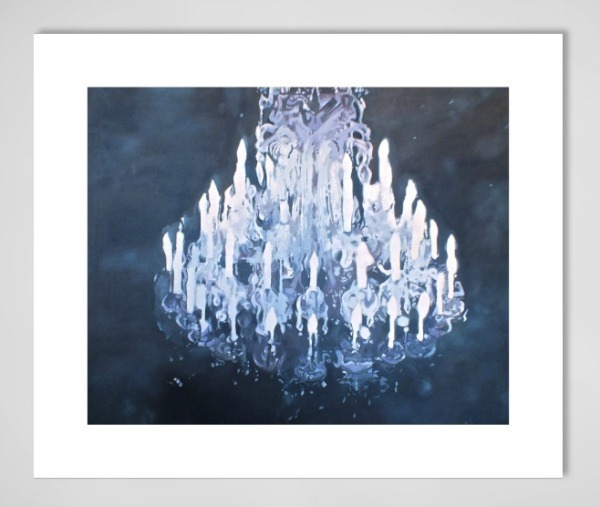 Currently, I have my eye on a few pieces, including this chandelier art print by Marek Hospodarsky. I love the colours and organic shape, and I think it will pair well with black and white photography. Is your stairwell boring and bland like ours or have you managed to inject some character and interest? I’d love to know if you have any other ideas or tips for hanging art in this often under-decorated area of the home. Update: Click Here to See Our Newly Renovated Hardwood Staircase! As you can see, I decided to keep it very simple and opted to hang a collection of art pieces in our living room and hallway instead. 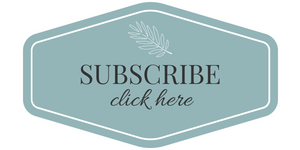 Want more decorating ideas like these sent right to your inbox? The first pic with the black and white photography is my favorite. Can’t wait to see what you do! Love that stairwell! I think it would be easy enough to replicate with inexpensive Ikea frames and a combination of photos. I love the black and white pictures. I really like that idea for my front entry. Hmm! Will have to keep it in mind!! Craig and I love the first one but feel the randomness of the other ones would probably work better to go all the way up our large staircase. If I go buy the frames will you come and put the wall together for me? Lets do this soon! Would you know how I can find the canvas floral that is in the stairway of your inspiration photo? The navy and white vase with pastel flowers? I’ve been looking on Etsy. Thanks in advance. I’m not sure, Tammy. If I come across it I’ll be sure to let you know. Good luck with your search! Would you know where I can find the black and white prints and gold framed you used in your French inspired staircase, I love!!! Hi Grace, I don’t know where to find those exact ones, but try searching for architectural prints online. I have seen similar ones on Etsy & Ebay.